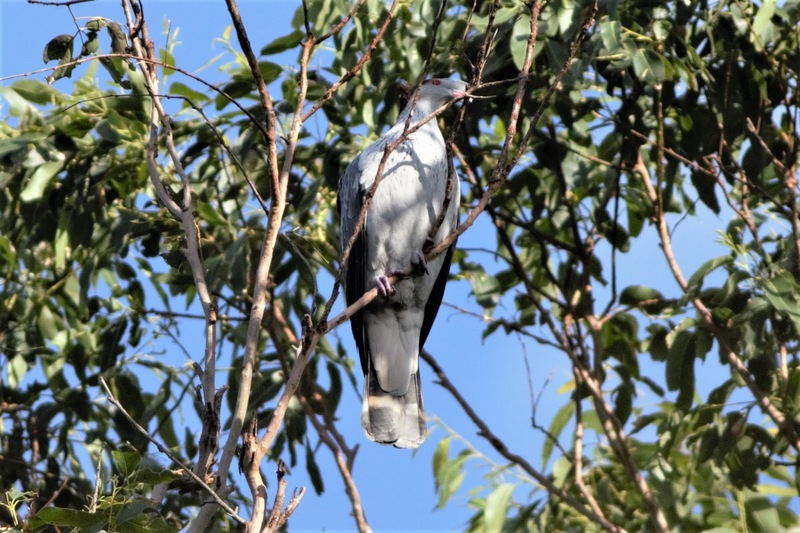 Birding and other wildlife experiences from the Sunshine Coast and elsewhere in Australia - and from overseas - with scribblings about travel, environmental issues, kayaking, hiking and camping. The Queensland Government has pledged to continue locking up indefinitely hundreds of thousands of hectares of Diamantina National Park in the Channel Country in a move it claims will help protect the critically endangered Night Parrot. 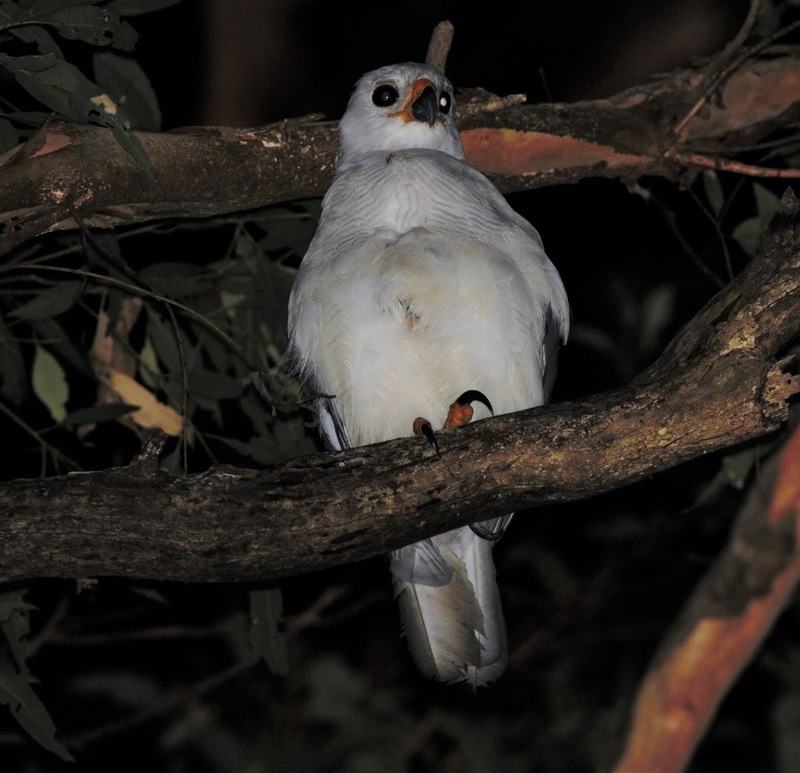 The government's stand comes as north Queensland naturalist John Young broke his silence over criticism of his Night Parrot research. Young announced he was launching a fresh search for the Night Parrot with Winton publican Paul Nielsen. 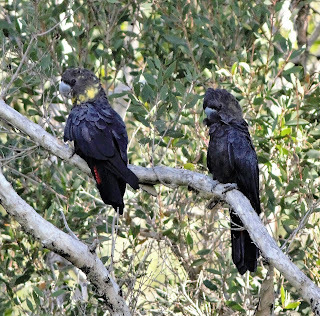 He compared his treatment with the failure of authorities to act over the disappearance of two Night Parrots in Western Australia after one was fitted with a radio transmitter. Young resigned from his job as a field ecologist with the Australian Wildlife Conservancy last year amid a furore when critics questioned some of his records. 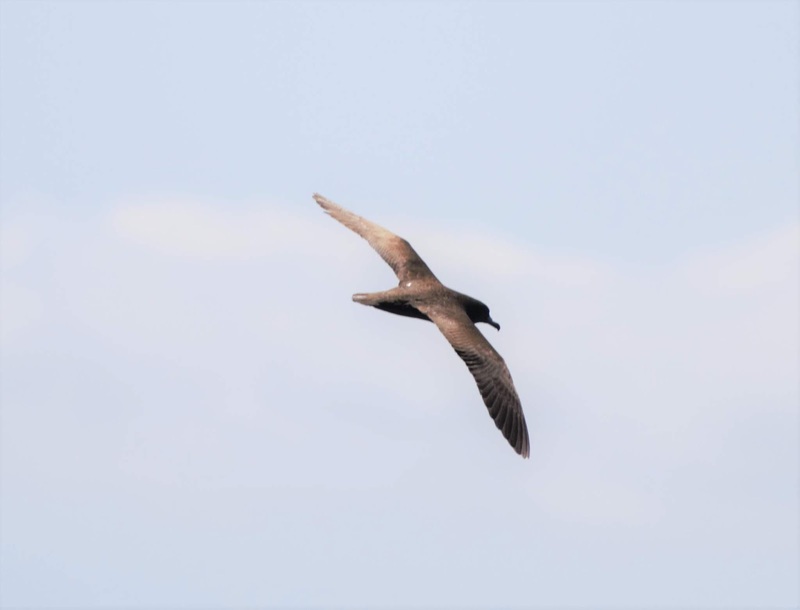 An investigation by the AWC last month raised doubts about a clutch of eggs and a nest found by Young in Diamantina National Park and his reports of the species from Kalamurina in South Australia. Young has told supporters that he stands by his records. The AWC scrapped not only the records in question but all research data gathered by Young in Diamantina National Park and elsewhere. 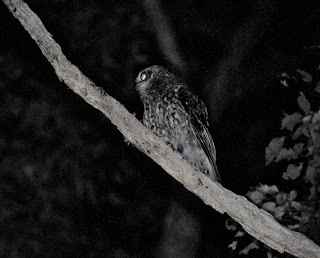 Young's records of the Night Parrot in the park while working for the AWC were responsible for a 2016 decision by the Queensland Government to declare half the 500,000 hectare park a Restricted Access Area. Anyone entering the area may face heavy fines or a jail sentence. The spokesman added the RAA also helped restrict access to the adjoining Pullen Pullen Nature Refuge, where Young sensationally rediscovered the Night Parrot and took the first photographs of the species in 2013. A Night Parrot vanished after it was caught in a mist-net and fitted with a radio transmitter in 2017 by a team headed by Night Parrot Recovery Team chief Allan Burbidge in the Each Murchison region of Western Australia. The bird's mate disappeared soon after. 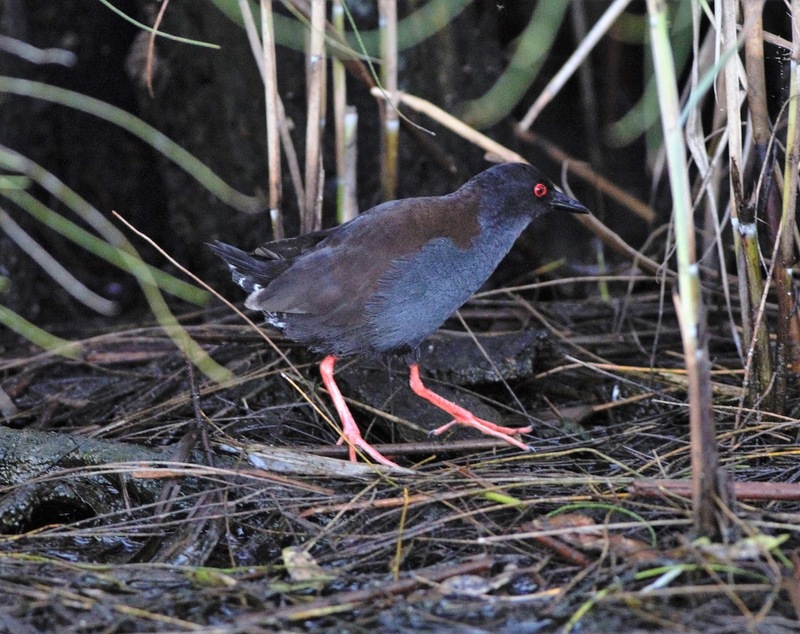 The pair was discovered several months earlier by a group of four WA birders. Young said he had decided to share publicly much of the information he has gathered about the Night Parrot. “Time to open the doors to give you all a chance to see this priceless bird. Much that is coming will never have been shown or told. I am going to leave no stone unturned. I made the mistake of trying to keep the locations out of site to protect the birds and was damned for it. Time to completely open the floodgates.” Over the next few weeks he would “show as much as I can and give as many hints as possible” on how to find the Night Parrot, but he would not be disclosing specific site information. 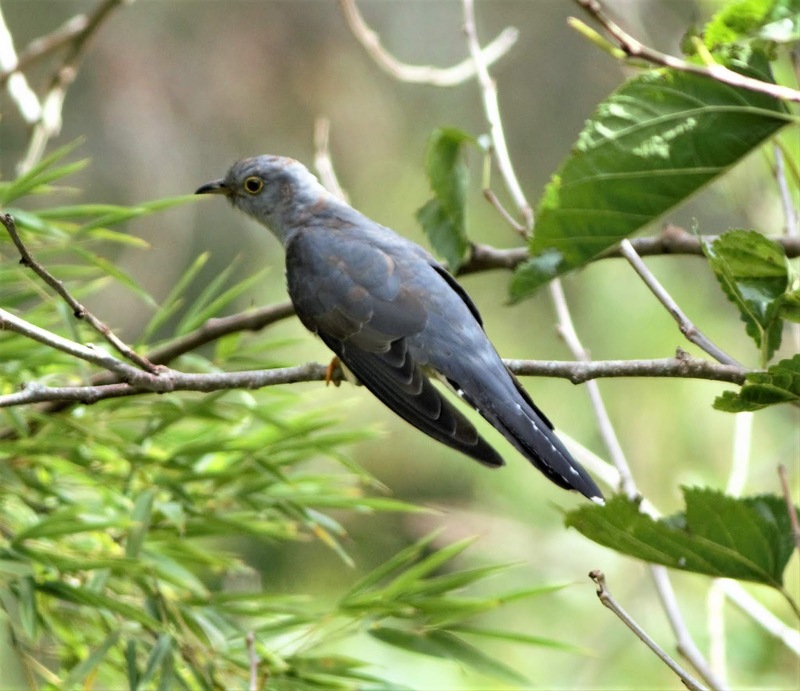 Oriental Cuckoo was the only bird in the Sunshine Coast region that I hadn't managed to photograph, so this last summer I was keen to bag it. 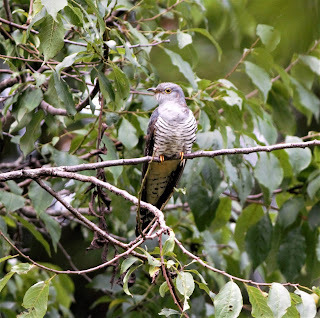 I found an Oriental Cuckoo in open forest on the Kureelpa Falls track in January but it avoided the camera. 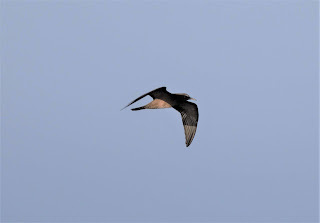 The bird hung around the same spot for the next two weeks, coming and going. 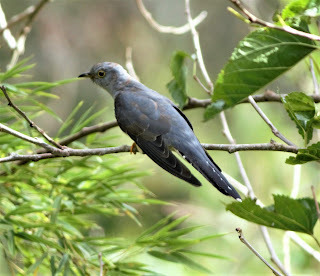 While others managed to photograph the cuckoo, I couldn't find it on subsequent visits. 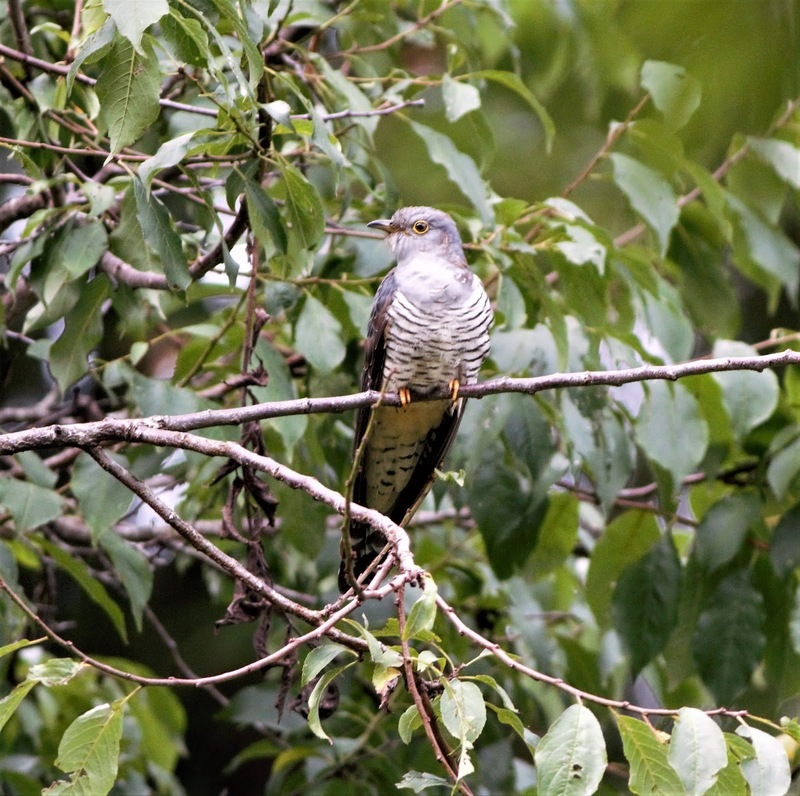 At the end of February, Maleny birder Hans Erken had an Oriental Cuckoo on his property. It was feeding in a shady glade among orchard trees. 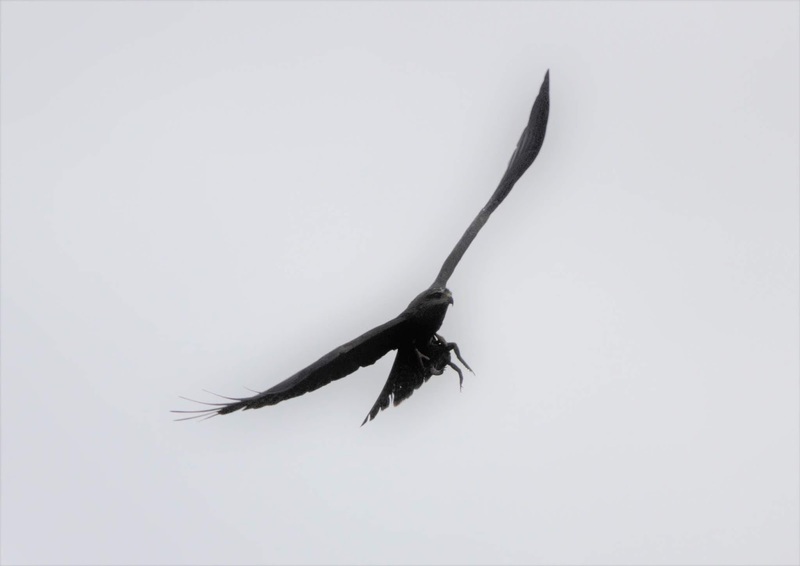 Hans reported that the bird returned repeatedly to the same spot, even after flying some distance away. So I was pleased it was still there the next day. 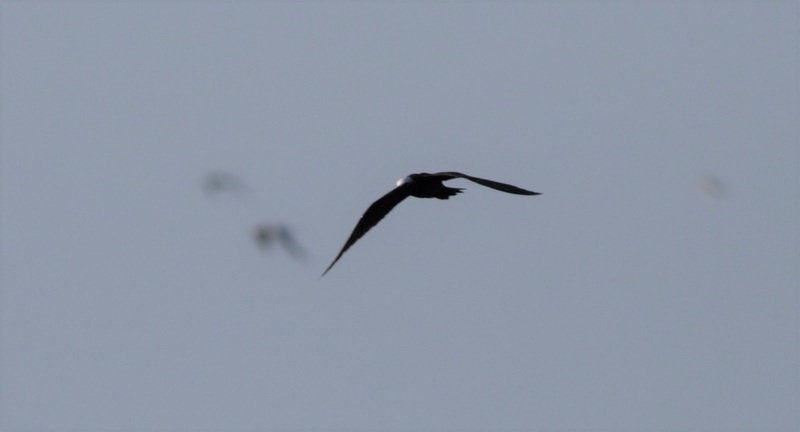 Unusually for migrants, this species can often be found over a period of time in a favoured haunt. Elsewhere about the region, I camped overnight in March in Bellthorpe National Park, not far from Peachester. I was pleased to find a pair of Red-browed Treecreepers in wet sclerophyll forest – just the third time I've seen the species in the Sunshine Coast hinterland in the decade I've been living here. (They were formerly much more common.) Also seen were a pair of Marbled Frogmouths, while 3 or 4 Southern Boobooks were calling close to the vehicle. 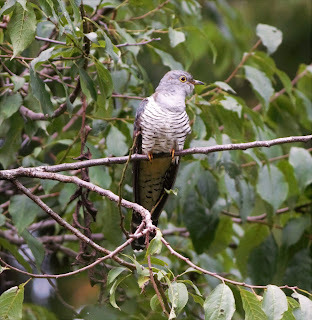 These birds were somewhat distant, high the trees. 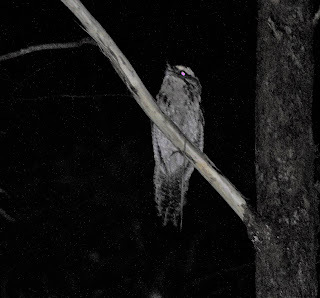 A Masked Owl was heard calling close by in the early-morning. 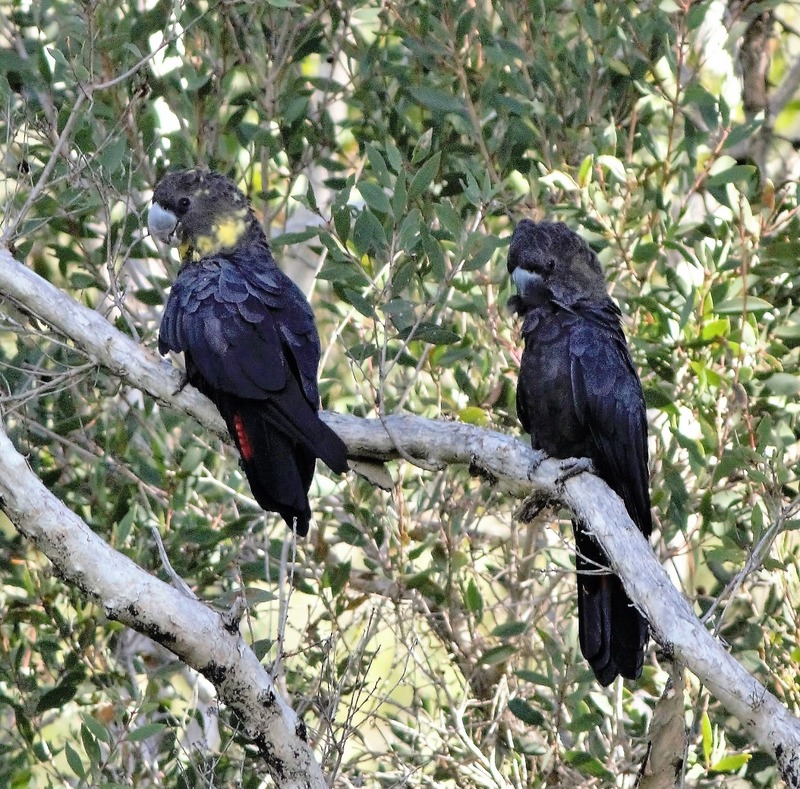 Glossy Black Cockatoos have been drinking regularly around Sunrise Beach, especially in the vicinity of Rainbow Park. Australasian Shoveler has turned up at Wappa Dam and near Bli Bli. Swamp Harrier is showing early in the season near Bli Bli, and a Black Kite was seen there catching a large cane toad. 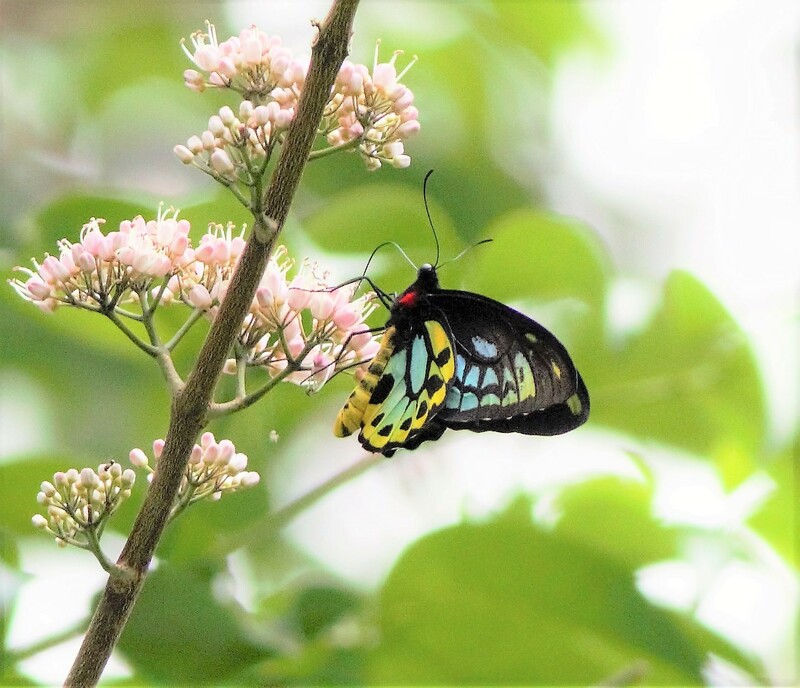 Richmond Birdwing is looking good at Cooloolabin. 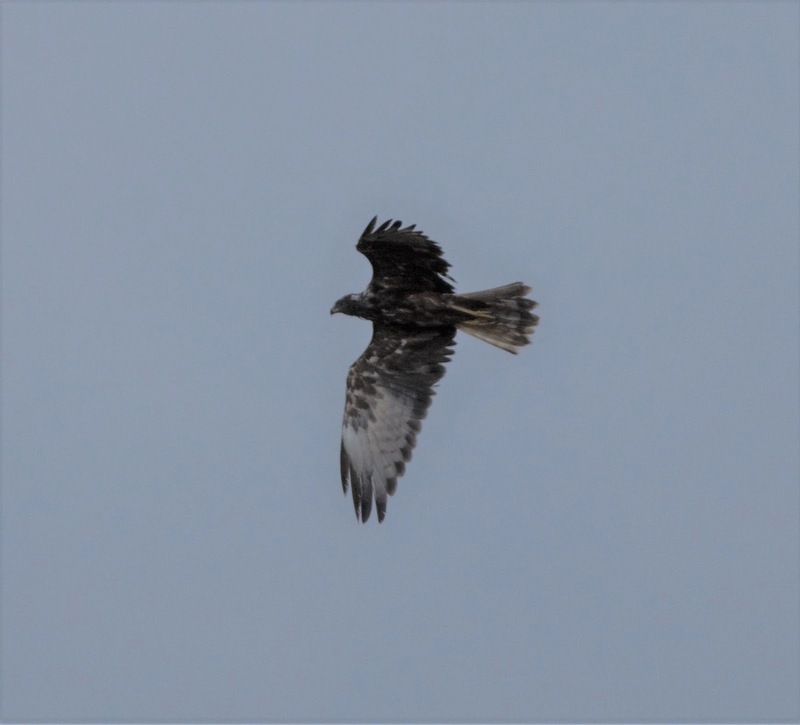 Eastern Ringtail has been seen a few times during the day as well as night in the home garden at Ninderry, where a white phase Grey Goshawk was photographed roosting at night. With a start to the cool weather, flocks of Topknot Pigeons are feeding in the open, this bird near Cooroy this morning. 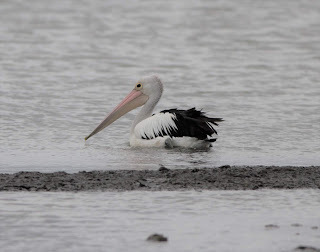 The foreshore of Raby Bay on Moreton Bay, a short distance from Brisbane, was a magical place. 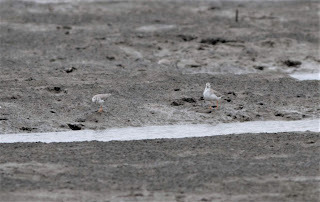 Thousands of migratory shorebirds of many species would congregate there at high tide on samphire flats behind the mangroves, dispersing at low tide to feed on adjoining mudflats. 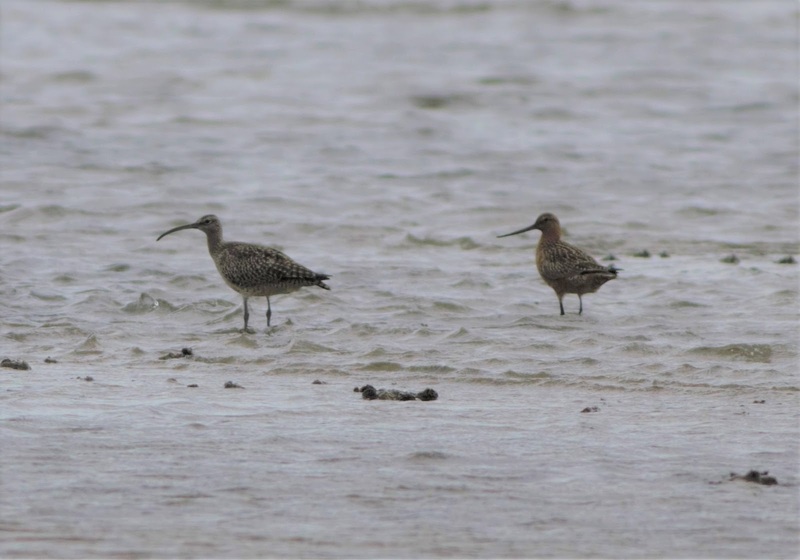 When I was a young birder in the late-1960s and early-1970s, Raby Bay was an exciting destination; I spent many hours there working out how to identify those shorebirds. These days, Raby Bay is a vast expanse of canals, marinas and real estate. All the special spots I once frequented are gone. Nothing remains of that once thriving haven for birdlife. 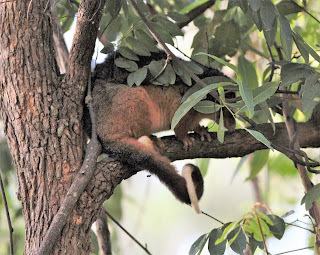 The same is true of many places around Moreton Bay and elsewhere in south-east Queensland, where wildlife habitat has been displaced by canal and other coastal development. 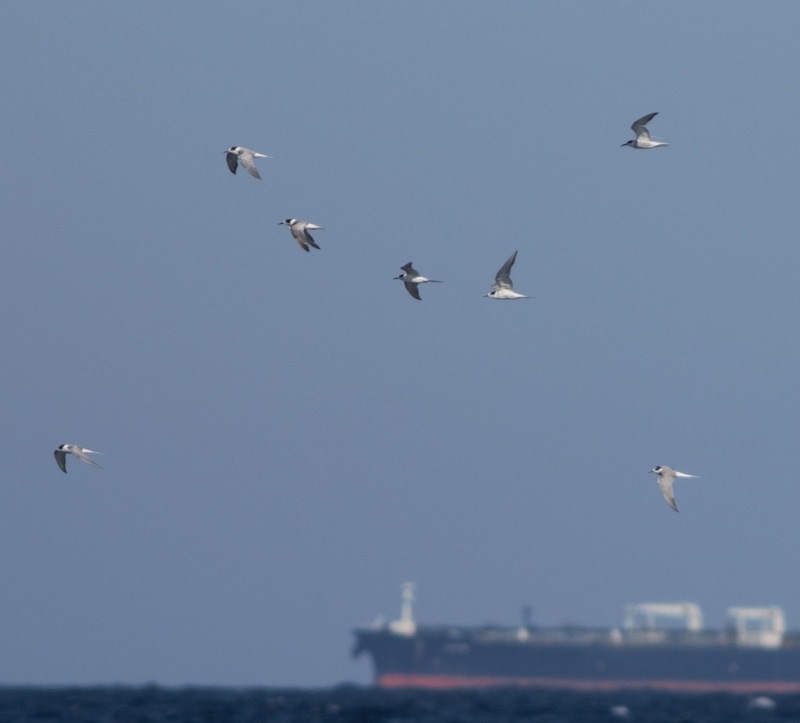 We now know that Moreton Bay is regarded as being of international significance as a feeding and roosting ground for migratory shorebirds, so governments have supposedly tried in recent years to contain the destruction and protect what's left of the habitat. Or so we thought. Today, just a short distance from the environmental wasteland that is Raby Bay, yet another massive development is set to proceed. More than 40 hectares of tidal flats which are supposedly protected under the international Ramsar convention will be destroyed to make way for the Walker Corporation's $1.3 billion Toondah Harbour project which includes a 200-berth marina, a convention centre and 3,600 residential dwellings. State and federal environmental laws are being trashed in the process. 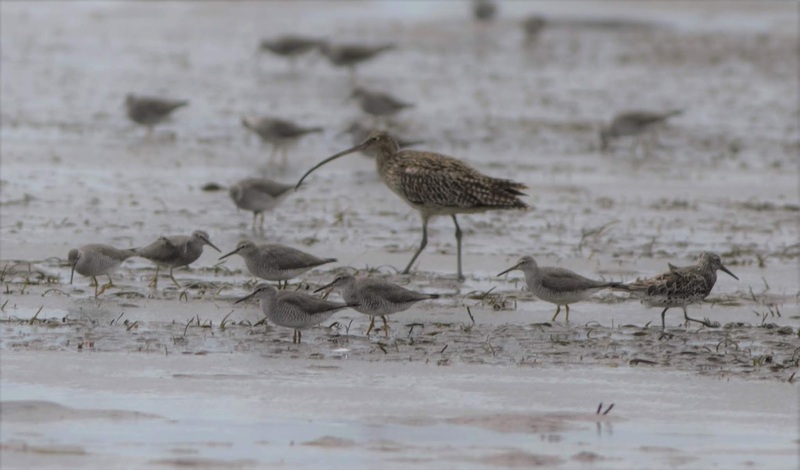 What is the point of signing treaties such as Ramsar, intended to protect the habitat of rapidly dwindling populations of migratory shorebirds, if those treaties are simply ignored when inconvenient? When will authorities say “enough is enough” and seriously do something to curb coastal canal developments? Are the interests of wealthy owners of canal-side mansions and luxury boats more important than salvaging those few remaining areas of natural coastal habitat? 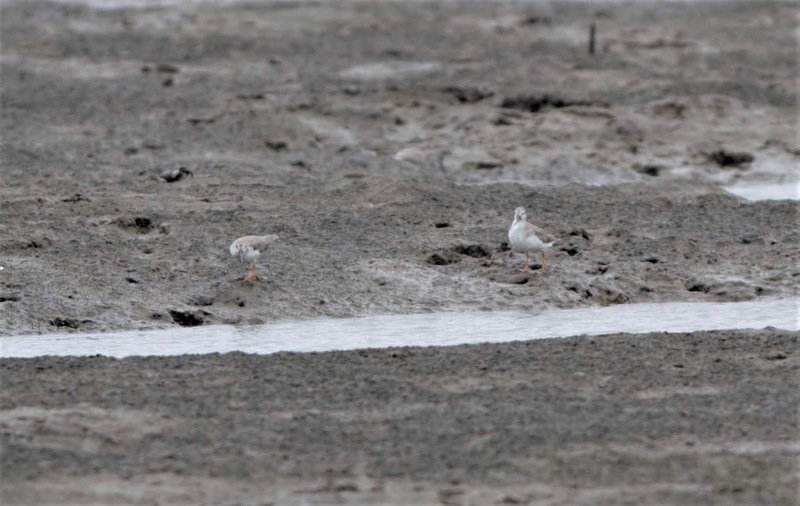 This week I strolled across the mud and sand flats and through the tall mangroves of Toondah Harbour at low tide. As I looked east from the shore towards Cassim Island, I tried to envisage the moonscape of canals that is set to be the lot of this place. Raby Bay all over again. Feeding on the mudflats I saw Eastern Curlew and Great Knot, two species listed federally as “critically endangered” because their numbers have crashed catastrophically in recent years, largely due to coastal developments along the flyways between the birds' breeding grounds in the northern hemisphere and their summer feeding refuges in Australia. 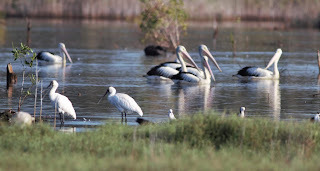 Refuges like Toondah Harbour. Why bother listing something as endangered if its habitat is being demolished? 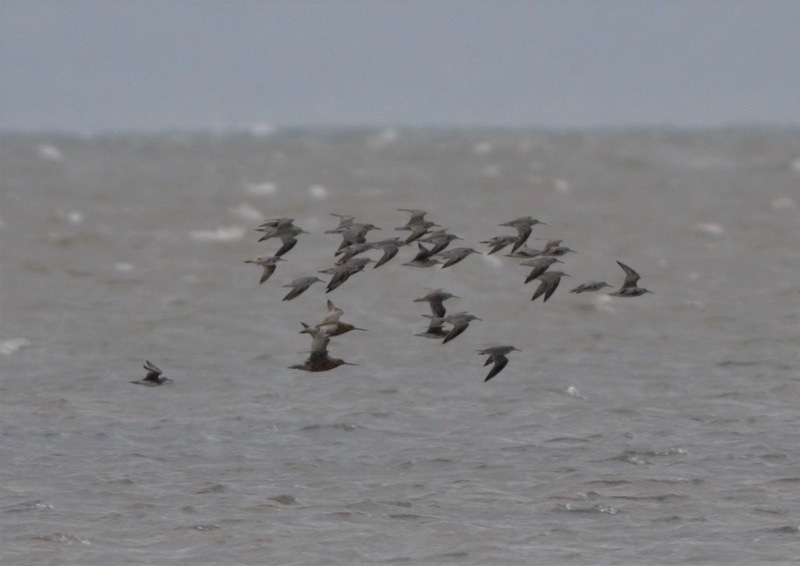 Also on the flats were plenty of Bar-tailed Godwits, some looking splendid in breeding plumage as they prepare to depart for their annual 12,000km migration northwards. 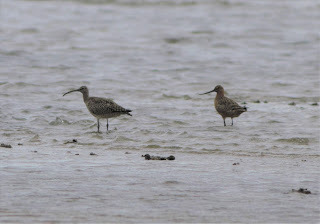 Other migratory shorebirds included Whimbrel, Terek Sandpiper and Grey-tailed Tattler. A host of non-migratory birds were there as well: Australian Pelican, Pied Oystercatcher, Gull-billed Tern, Little Egret and many others. 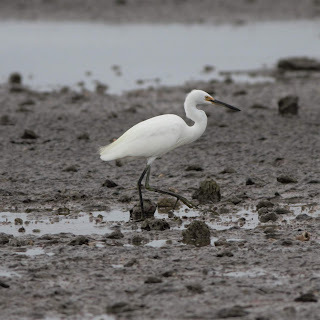 Bird images in this post were taken at Toondah Harbour this week. Just across the harbour, at Oyster Point, a state government sign proudly points out that the area is a wetland of international significance, protected under Ramsar. 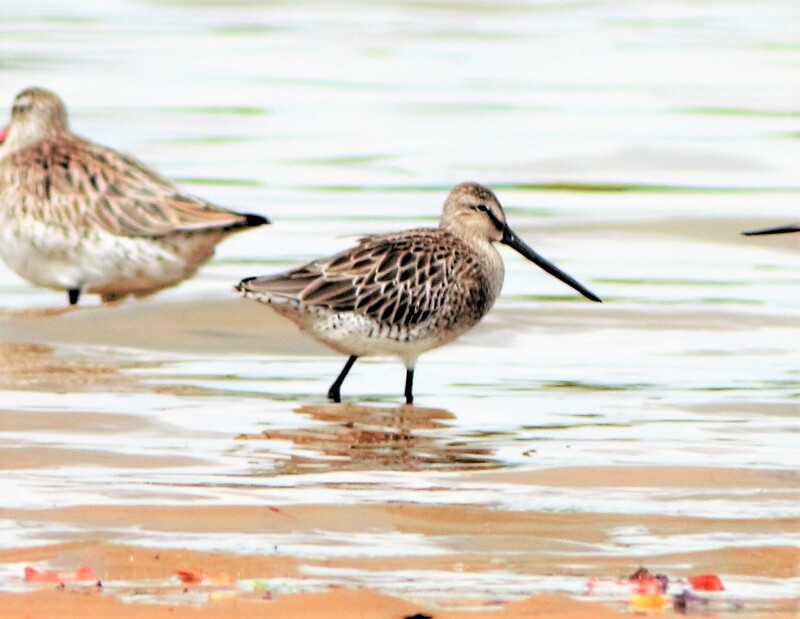 Says the sign: “These shorebirds need the space, food and protection found at critical sites along the foreshores of Moreton Bay.” No hint there that the treaty is in the process of being gutted and that one of those critical sites is about to be obliterated. The former federal Environment Minister, Josh Frydenberg, ignored his own department's advice to block the Toondah Harbour project. 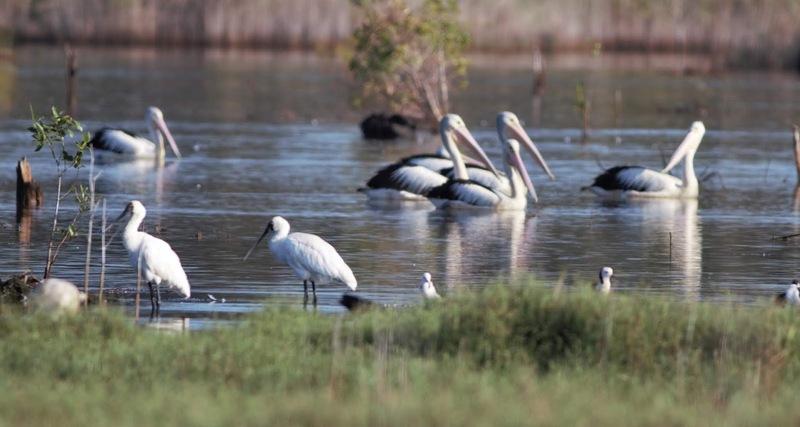 In a 2016 letter to the company, the department suggested it might want to consider an alternative proposal to “avoid substantially direct impacts on the ecological character of the Moreton Bay Ramsar wetland”. 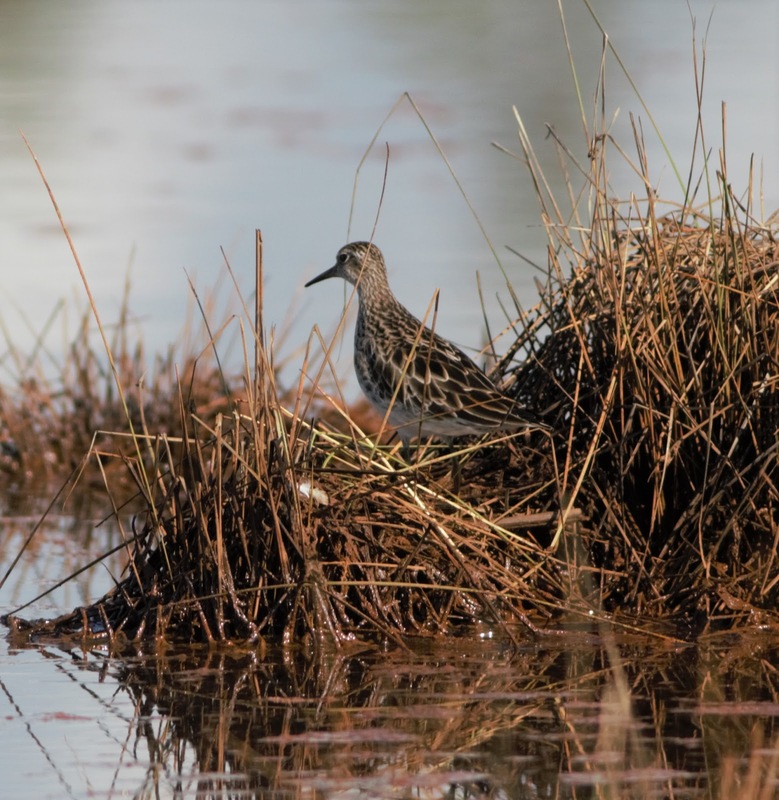 When nothing of the sort was forthcoming, the department advised the minister in 2017 that the proposal was "clearly unacceptable" because it would result in “permanent and irreversible damage to the ecological character” of the wetland. Frydenberg ignored that advice and instead ordered his department to undertake a “full assessment” that “might lead to mitigation or offsets of any significant environmental impact”. That's politician-speak for giving the project the green light. The Walker Corporation donated $225,000 to Frydenberg's federal Liberal Party in 2016; the minister and the company insist donations had no influence on the decision-making process. According to reports by the ABC, Frydenberg's department raised multiple objections to the project. The impacts of the ecological character of the site would be “difficult to mitigate and offset”, notwithstanding the minister's suggestion to the contrary. The department expressed concerns about adverse changes to water quality resulting from dredging, excavation and reclamation work. Increased boat traffic, lighting and ongoing dredging of the harbour would be damaging for dugongs and three species of sea turtle that frequent the area. 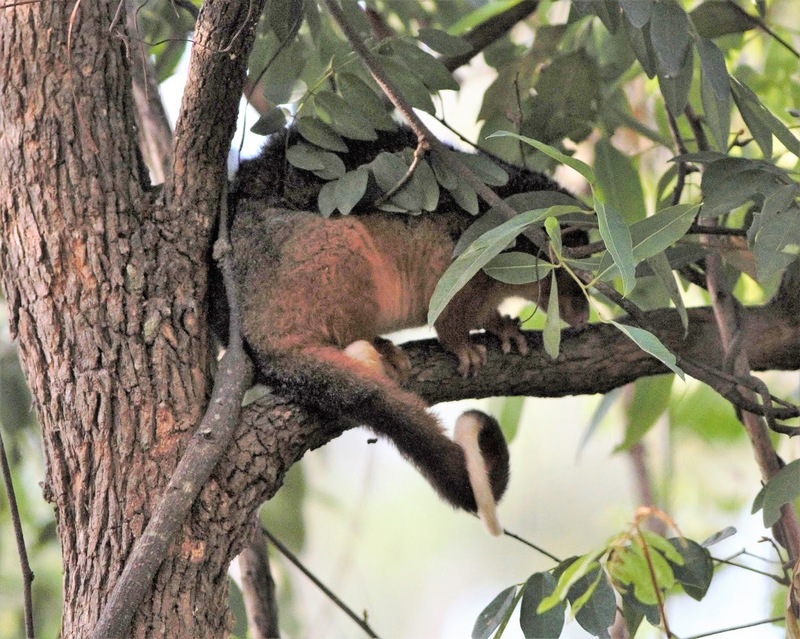 The removal of onshore vegetation would pose risks to other threatened species, including koalas. The federal Labor Opposition raised no voices of objection to the minister's move, being more concerned about lending support to the Palaszczuk state Labor government, which has not only enthusiastically embraced the project but expanded it significantly from what was proposed originally. 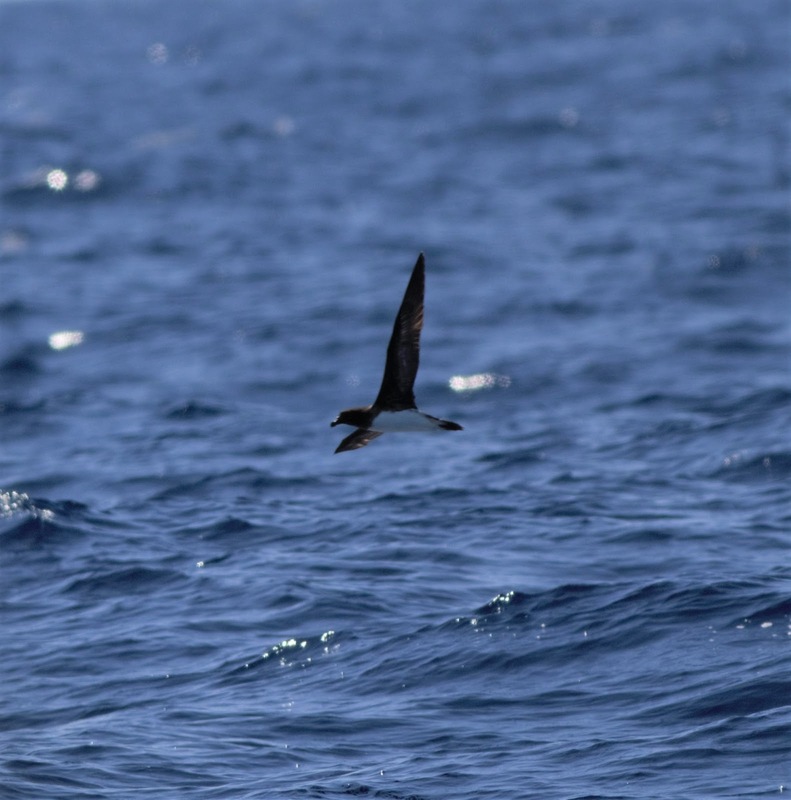 In 2016, the then Queensland Environment and Heritage Department wrote on behalf of Deputy Premier Jackie Trad and Environment Minister Steven Miles to the then federal Environment and Energy Department about the Ramsar convention. The letter complained that “historical mapping anomolies” were compromising the “revitalisation” of Toondah Harbour. In other words state Labor, which has also been the beneficiary of generous donations from the Walker Corporation, wanted the international treaty maps torn up so that, among other things, half a million cubic metres of seabed could be dredged to make way for the project. 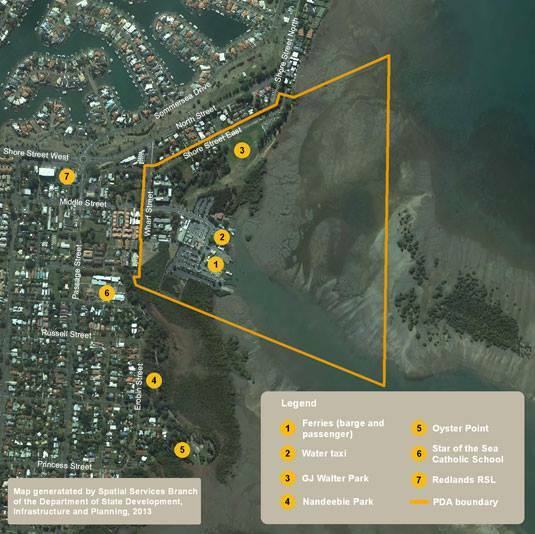 On its website, the Walker Corporation describes Toondah Harbour as a “rare opportunity to create a waterfront destination that will transform the face” of the region. Yes, the face of the region will indeed be transformed. While canal developments are being discouraged around the world, especially in this era of climate change and rising sea levels, they continue in Queensland to be regarded as models of sensible economic development. The wanton destruction of environmentally sensitive wetlands is as acceptable to governments today as it was half a century ago. See here for how to lodge a protest. 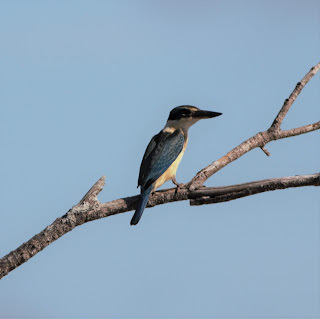 It has been close to 12 months since Unitywater reopened some floodgates connecting the Yandina Creek Wetland to the tidal of waters of Yandina Creek and the Maroochy River. 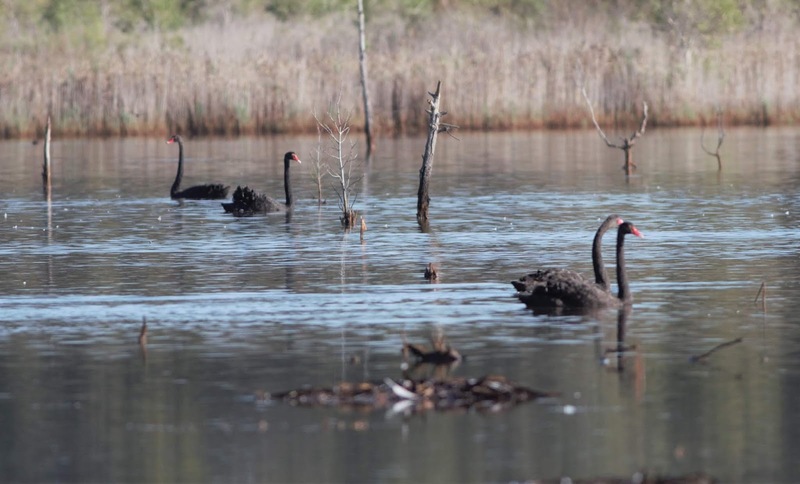 The move has allowed half the once flourishing wetland on the Sunshine Coast to be restored. 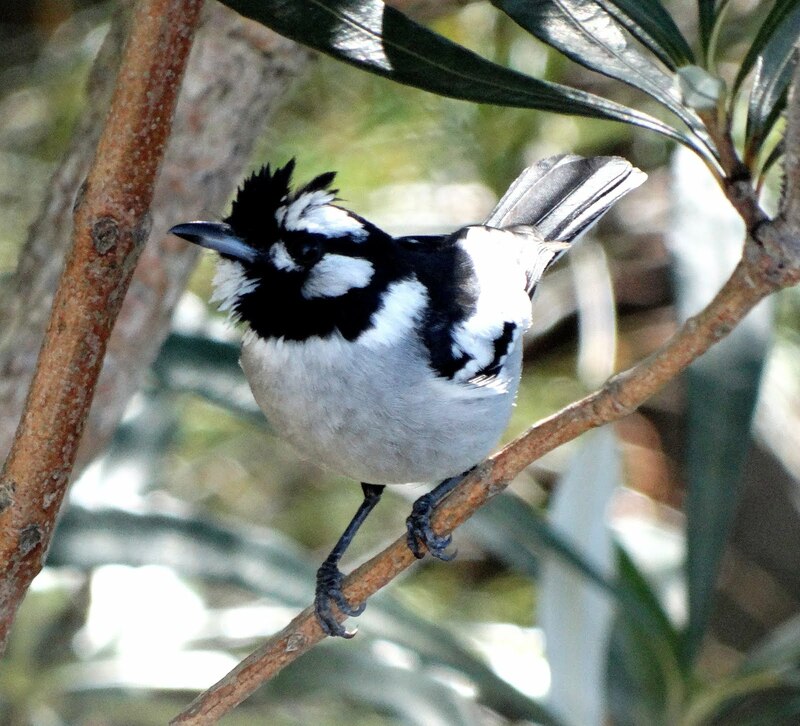 Last weekend, BirdLife Australia surveys confirmed that birds are returning to the site in numbers. 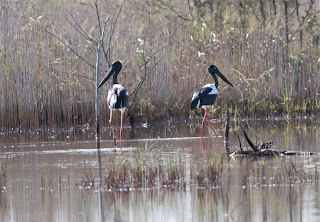 A pair of Black-necked Storks appears to have set up residence. 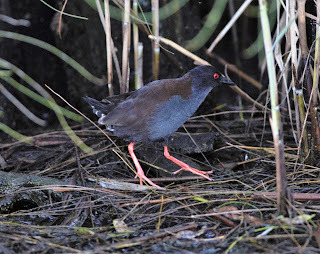 Spotless Crakes are quite common in the reed beds. 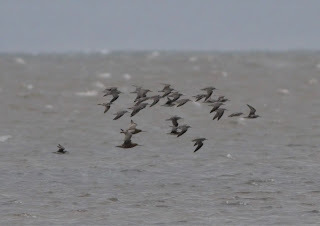 Small flocks of migratory Sharp-tailed Sandpipers were among species recorded along with some birds in the images in this blog post. This is an excellent development. 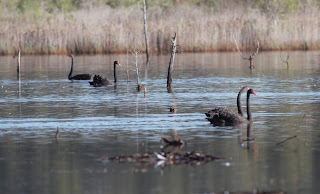 Many thought the wetland was lost forever when it was drained by its former owners in 2015, but Unitywater's acquisition of the 200-hectare site in August 2016 for its nutrient offset program was a turning point. However, only the northern-most gates along Yandina Creek are reopened, so only the northern half of the site is replenished. The southern half remains high and dry, almost four years after it was drained. Unitywater has been unsettled by a small number of residents along River Road who complain that restoring the wetland means they will suffer from hordes of mosquitoes. The residents' complaints ignore the fact that mosquitoes were there for many years before the wetland was drained, apparently without causing undue concern. 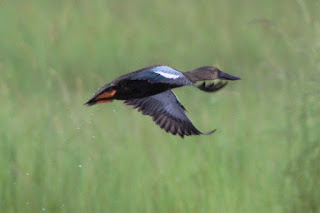 The homes are several hundred metres away at least from the wetland and are already surrounded by tidal waterways with their attendant insects. As well, Unitywater has been undertaking environmentally friendly spraying at the wetland, which has seriously reduced mosquito numbers. It would be a truly gratifying development if Unitywater was to reopen the remaining gates. The southern half of the site was home to many of the uncommon waterbirds of the wetland and provided refuge to large numbers of Latham's Snipe and other migratory shorebirds. Instead, the area has become a desolate landscape of weeds and regrowth and importantly, a haven for the Red Fox. 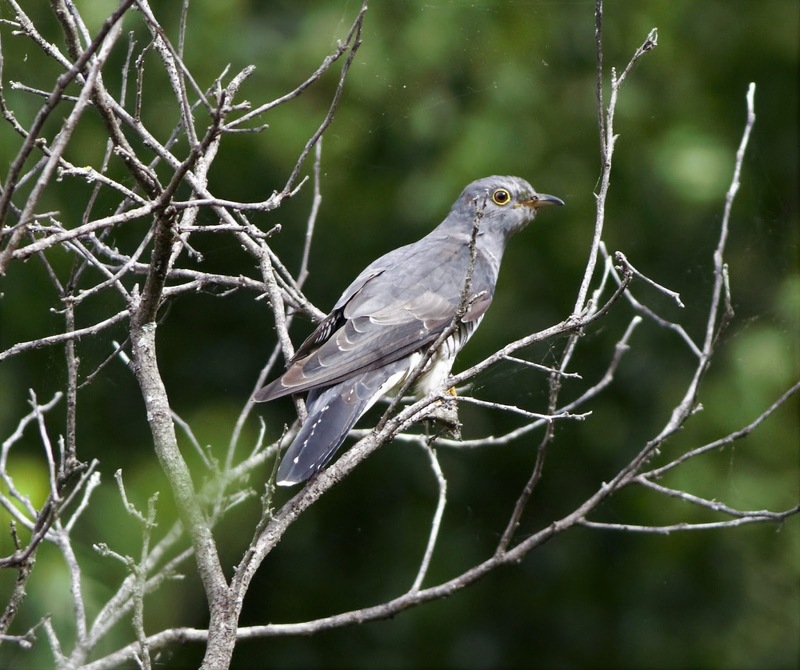 Foxes have become common at the wetland and BirdLife Australia volunteers have witnessed numerous bird victims of this introduced pest. Foxes have an ideal refuge in the dry southern half of the site; their habitat would be much more restricted if the entire wetland was restored. As well, restoring the whole wetland would give the birds a greater area in which to forage and roost. 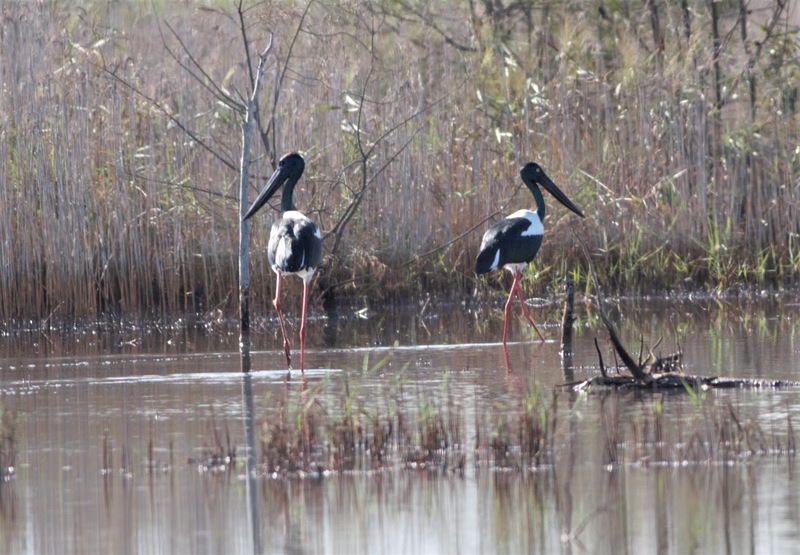 My observations suggest that water levels in the replenished northern half of the wetland are significantly higher than they were prior to the 2015 draining, with reduced areas of exposed mod and other bird-friendly habitat. It seems likely that restoring the southern half will allow excess water to spread over the site more evenly. 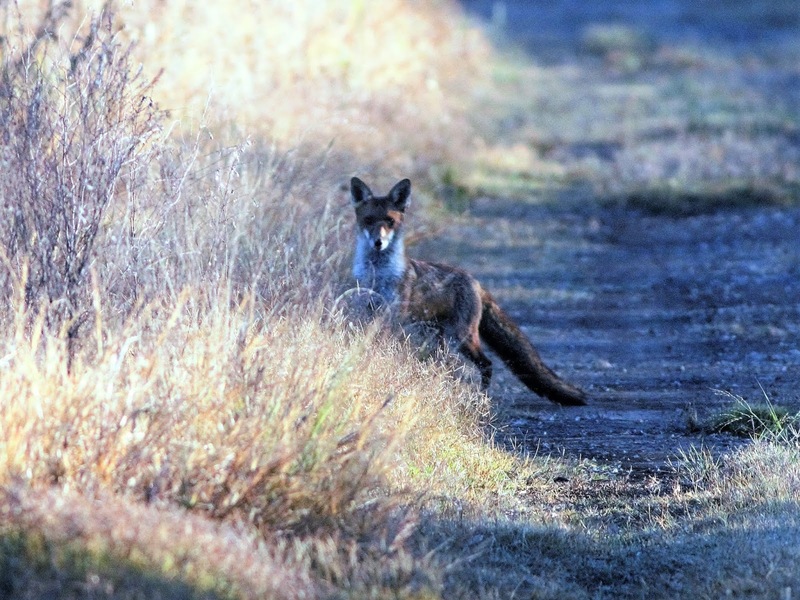 Hopefully Unitywater, perhaps in conjunction with the Sunshine Coast Council, will embark on a much-needed fox eradication program in addition to restoring all the wetland to its former glory. We departed Mooloolaba Marina at 6.45am on Sunday March 24, 2019 with a degree of trepidation as the forecast of a 10knot north-westerly did not bode well. 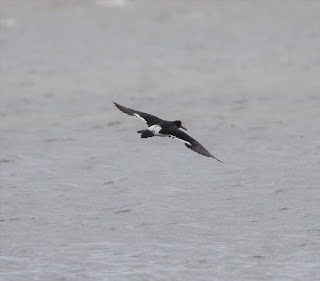 We soon encountered good numbers of birds close inshore, however. Among them were substantial flocks of Common Terns, evidently attracted to schools of bait fish. Quite a few Little Terns, Hutton's Shearwaters and Wedge-tailed Shearwaters were among the flocks and we picked up at least two Black Noddies and two Brown Noddies as well. 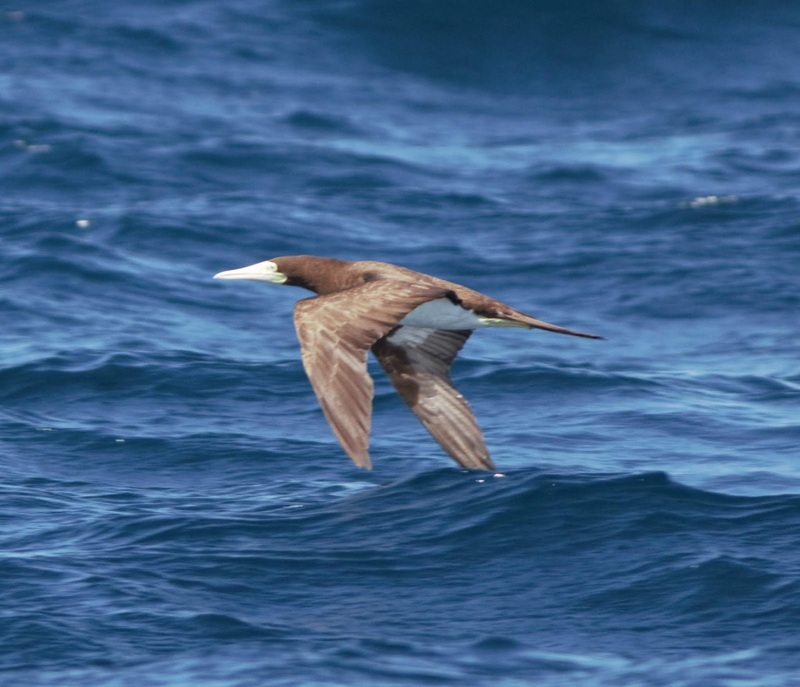 We spotted three Brown Boobies perched atop a fishing trawler. After spending more time than usual inshore, we heading east to beyond the shelf and began laying a berley trail 31 nautical miles offshore in 400m. A mild swell of under 1m and a gentle W-NW breeze of 10knots was the order of the day, pretty much as predicted. Very little was about, with a few Wedge-tailed Shearwaters and the occasional Flesh-footed Shearwater checking out the boat. 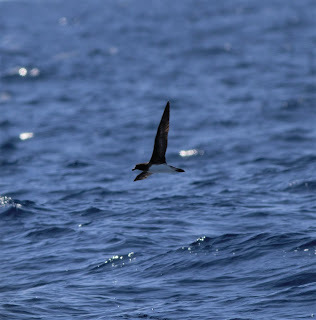 A Tahiti Petrel appeared, followed by another a little later. A Bronze Whaler shark was a welcome visitor. 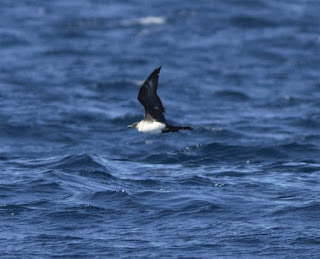 With so little about we decided to turn around at 12.10pm and try our luck closer to shore. 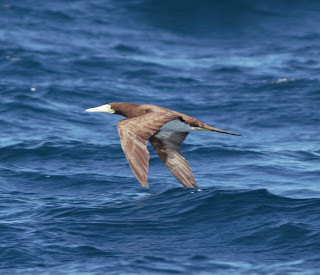 We saw a Pomarine Jaeger and a Brown Booby in flight as we headed west. 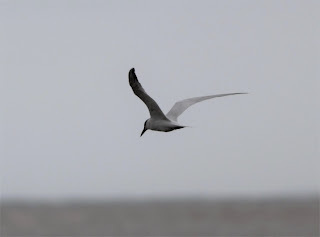 As we approached the coast the tern flocks reappeared, albeit in smaller numbers than in the morning. 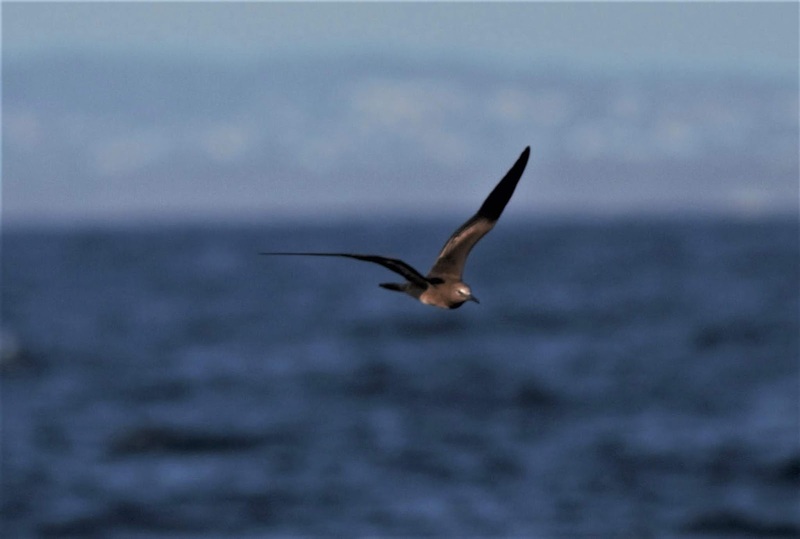 Brown Noddy and Hutton's Shearwater were again in the mix, along with a few White-winged Terns. A Green Turtle showed nicely if briefly. 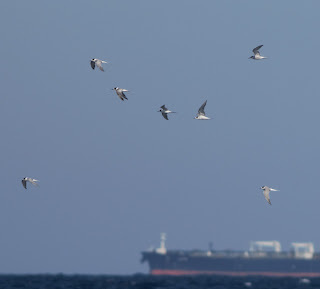 The wind picked up sharply to 15 knots in the afternoon but from the same direction. We returned to the marina at 3.30pm. PARTICIPANTS: Toby Imhoff (skipper), Greg Roberts (organiser), Eric Anderson, Louis Backstrom, Margie Baker, Tony Baker, Sarah Beavis, Luke Bennett, Judy Coles, Graeme Collum, Richard Fuller, Nikolas Haass, Catherine Hirsch, Mary Hynes, Bianca Keys, Sue Lee, James Martin, Maggie Overend, Julie Sarna, Raja Stephenson, Marie Tarrant, Brad Woodworth, Matt Wright, Jasmine Zeleny. A New Species of Fig Parrot? Nope.